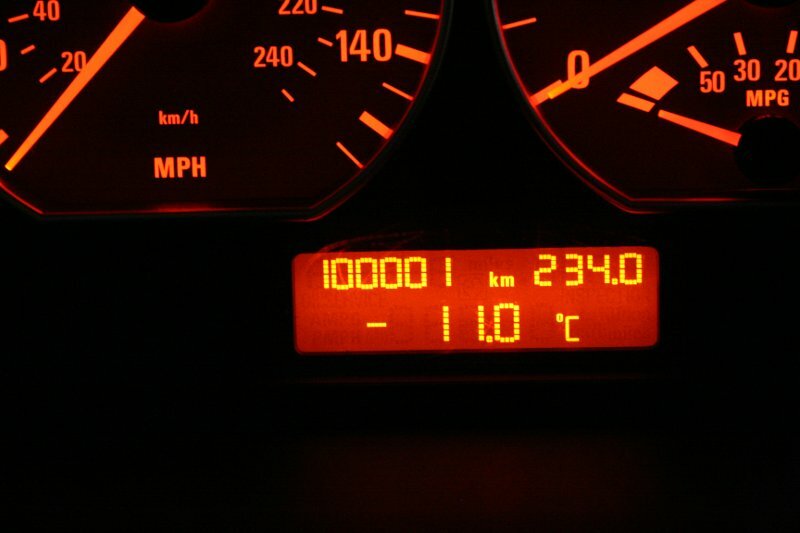 Shortly before Christmas, the car rolled over the 100,000 mark. Not bad for a nearly eight year old machine. Many hundreds of thousands still remain in its life. Still, the first six digit number for cars is almost analogous to a human turning forty. There will be no gray hair here! Also, Christmas was good. The fact that there is a week off from work is even better. My 1:12 scale Dumas Trojan F-31 build is finally complete. It took over a year to get the job done, and considering the poor condition it started in, I think it turned out really great. The boat has been named Quovis. This is in line with the naming scheme I'm using on my model boats, where the Latin translation to English is a used as a pun. In this case, Quovis means "to whatever place you will." The intention of "place" is not necessarily physical, but I'm interpreting it that way. It beats the silly names boats normally get, in my opinion. Aside from some rear-deck warpage that I may or may not address in the spring, this boat should be in the water as soon as it becomes liquid again. The next boat on the list is another complete overhaul/reconstruction; this time it will be the Billings Boats Thor coast guard vessel. I made a fresh batch of beer tonight. For the occasion, I've spent the last couple of days planning and building a counterflow wort chiller. For the uninitiated, the counterflow chiller is a device consisting of a copper tube within another tube (or hose). While the inner tube has a hot liquid (beer wort) flowing one way, the outer tube has cold water flowing the other way. 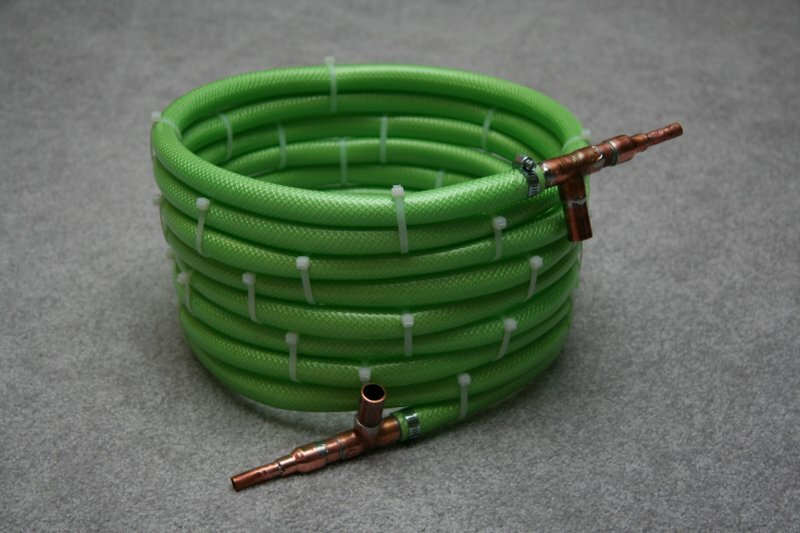 In this case, the outer tube is 5/8" garden hose, and the inner tube is 3/8" copper tube. The only real construction was at the end parts, which needed soldering. But it works, perfectly. It took boiling wort right off the stove and cooled it down to 15°C at the other end. This brew of beer also marks the first batch that I'm making without starting with a kit. Just grain, malt extract, and hops. Here's to hoping it works out. Wow. I can't believe the problem's finally been solved. Ever since the x86_64 version of the Adobe Flash Player came out, I've been using it. However, at some point this year it became rather unstable. I assumed it was related to the Ubuntu 9.04 release. With the 9.10 release of Ubuntu, the Flash was completely unusable; even YouTube would crash it. The strange thing was that my AMD64 Debian Unstable system at work didn't have this issue. All sorts of possibilities existed. In the end, I finally found the solution in a forum thread. Apparently, early AMD64 chips (including my fx-51), do not implement the "lahf" instruction. Also, Adobe apparently calls it in their plugin. The solution is quite ingenious. A man named Maks Verver came up with a thirty line C program that gets compiled as a library and loaded by Firefox on startup along with the other plugins. It simply implements a signal handler for SIGILL (illegal instruction), checks for the instruction in question, implements its functionality in software, and resumes. Brilliant. I can now laugh at lahf. So it seems I missed November altogether. This is the first month where I didn't take a few minutes to write something here. I guess nothing important happened. The weather was spectacular. Geocities went away. The lousy economy is starting to frustrate me a little. To alleviate the economic blues, I took a day off from work, right in the middle of the week. Most people would call this a "personal day." I call it a "hobby day." 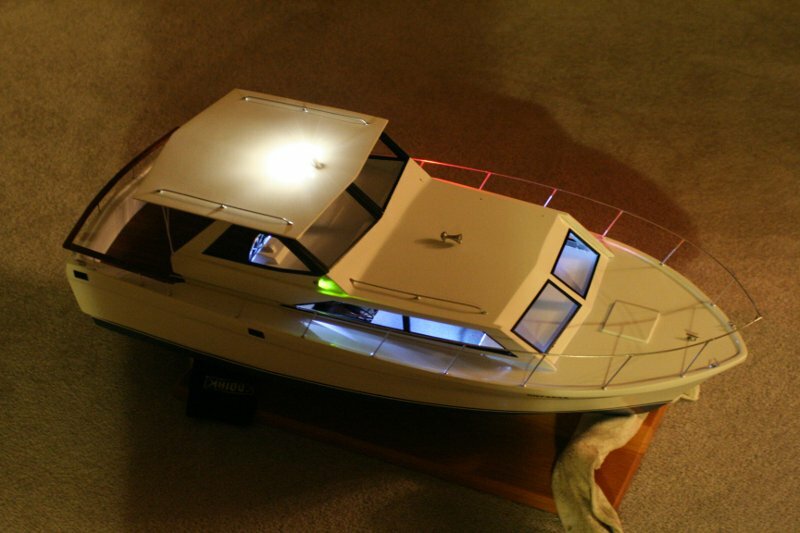 I spent every waking minute of the day trying to complete my Trojan F-31 boat model. In the end, it didn't get finished; it only takes one little thing to go wrong, and a few managed to go wrong. The end is very near. Still, amazing progress. 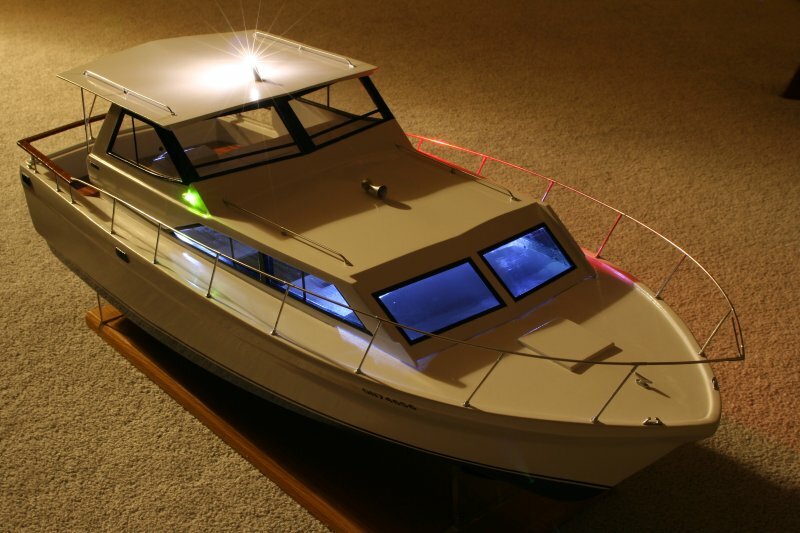 I made all of the railings, masked the whole boat and painted the window frames, cut the windows, tinted the windows, installed all of the lighting, painted and installed all of the fittings, and applied decals I made last weekend. I'm sure something is missing from that list, too! This build has turned into one hell of a project. I've had this laptop hard drive at work whose motor was seriously failing that would have been nice to recover. 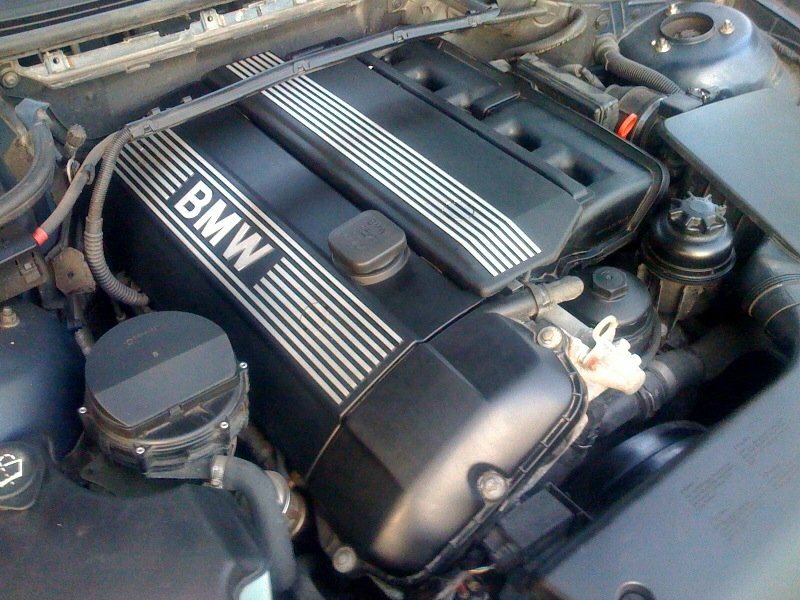 However, after running for a few minutes, the bearing would inevitably sieze, and there would be read errors. 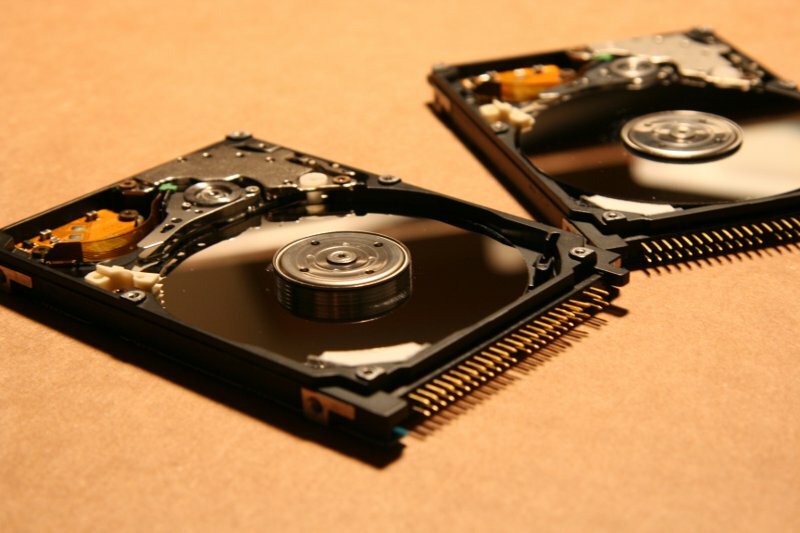 I noticed last night that I owned another very similar drive -- just one digit different in the part number -- that had a perfect motor, but bad platter or heads (causing read errors). After opening it, it became clear that the difference is the number of platters. The motor in these is integrated right into the aluminum chassis, so just swapping it is not possible. No matter, I moved every other part from the drive I wanted to recover. To make a long story short, it didn't work. The drive wouldn't read properly. 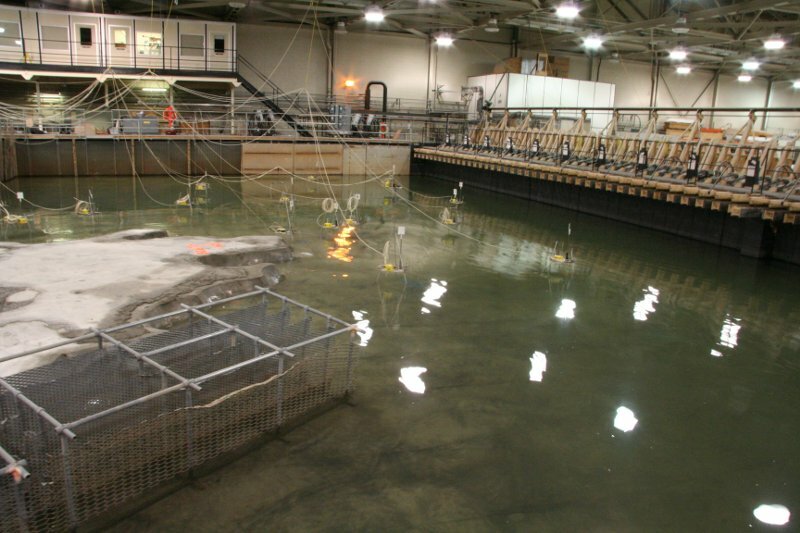 But it was still a fascinating experiment. Before leaving a foreign country it's always nice to do a little bit of duty-free shopping. Alcohol is a good place to start. 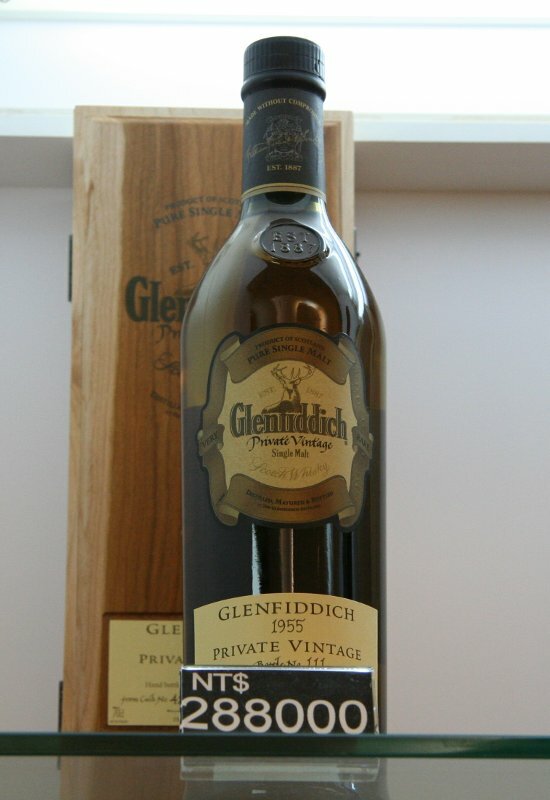 Now, there are some bottles that are a little out of my price range, and then there are ones that are just simply ridiculous. I felt cheap and bought a hundred dollar bottle of scotch instead. I am on my way once again from Ottawa to Taipei. The trip isn't starting well, as I've already been at YOW for almost an hour after I was supposed to land in Toronto. The plane had a flat tire. Go figure. But the strangest thing happened while I was waiting for my flight. 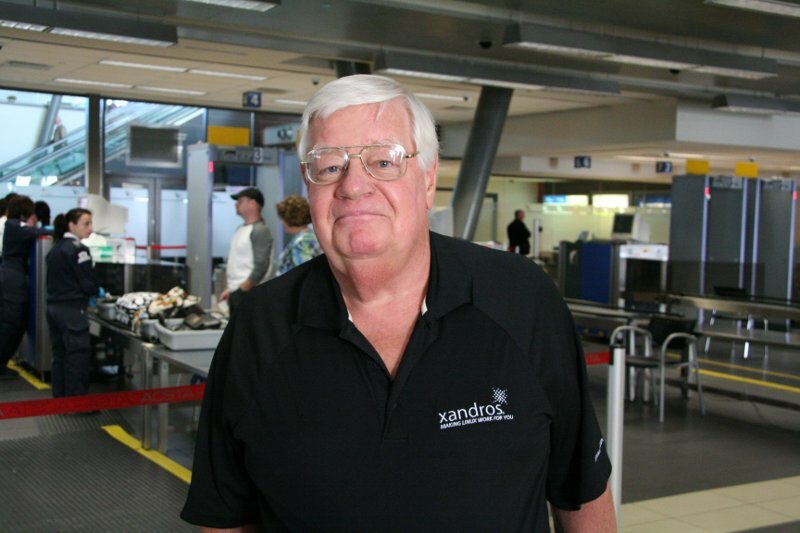 Two things that my brain could not process simultaneously: I was staring into the face of radio host Lowell Green, but the person I was looking at was wearing a Xandros shirt. Very unusual. This was somewhat difficult to resolve, so my brain paused for a moment. When he asked "Can I help you? 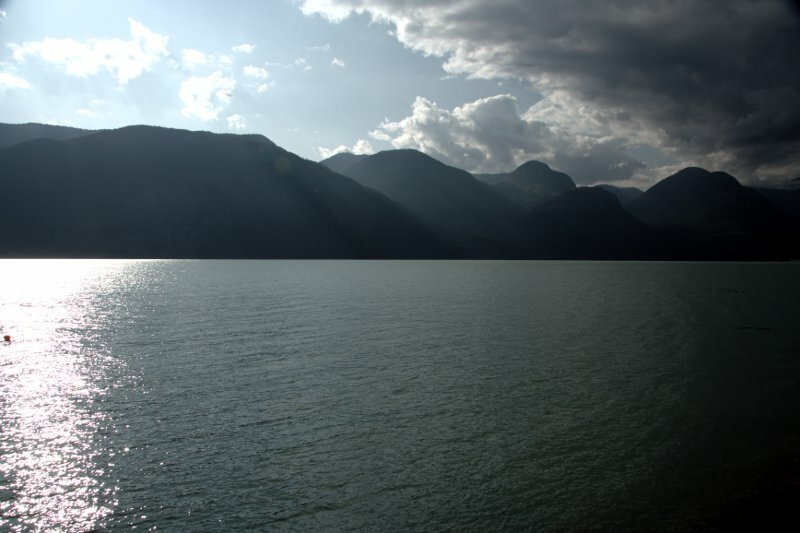 ", only then did the voice straighten out my confusion. Apparently his son-in-law works in my office. Hopefully the rest of this trip goes more smoothly. The sun's going to go down in a couple of hours and I still have three planes ahead of me today! How often do I get to do a "guy" weekend?! Well, this weekend was one of those. It started off with a visit to Cornwall for a night on the town and to see Finger11 play live. Lots of drinking, lots of fun. 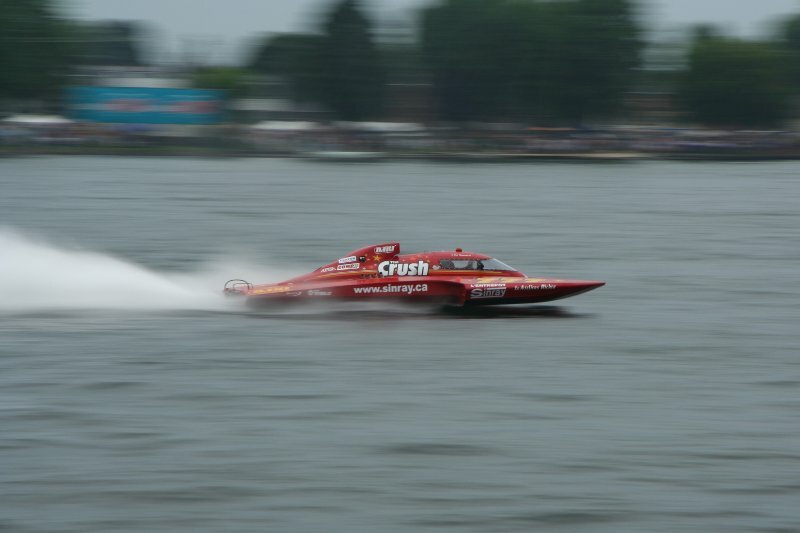 The plan was to leave the next morning, but things changed and we ended up going to a town in Québec called Valleyfield to see their annual boat race. They take their racing very, very seriously down there! The race was very fast and very loud. The fact that it started pouring rain in the middle of the day didn't seem to stop anyone. Instead, everyone sat there for hours while it all came down in a torrential storm. Nothing like good, loud, wet fun. Well it's certainly nice to be back in Canada. Today is Canada's 142nd birthday, and though the weather was touch-and-go for a while, the evening ended up being perfect for fireworks. 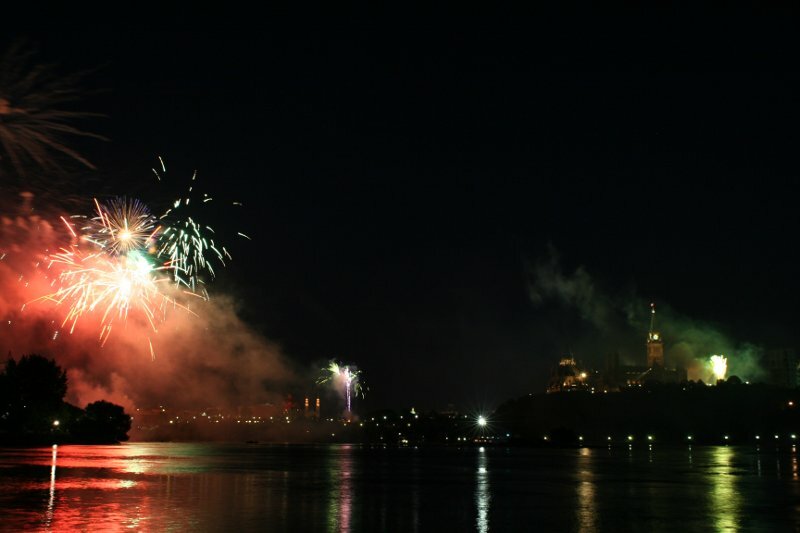 I had never viewed the fireworks shot from the Québec side of the river, so I went early and found myself an isolated area where I was the only person for about 100m. It wasn't easy to get to, but the view was great. From a photography-creativity point of view, this was an excellent opportunity to play with the Manual mode. The sweet spot for shots ended up being f/4.0, 8/10s exposure, at ISO 200. While my lens can do f/2.8 throughout, there aren't pretty lens flares when the aperture is wide open. One of the coolest things about traveling East over the Pacific is the dateline. This flight was the fastest I've ever been on from Taipei, at only about nine hours. It didn't go over Japan and Alaska like it usually does. What this means is that I left Taipei Thursday at 23:55, and I landed in Vancouver Thursday at 19:15! I was hoping to write something during my stay in Taipei. Instead, I'm writing this from the plane flight back to Vancouver. The plane is a nice shiny Boeing 777. It's pitch black outside, with bright stars and a fair bit of turbulence. I'm hoping the plane will have the starry-sky ceiling like on my previous flight on one of these. I guess the point is that I've been so busy that I haven't had a chance to write anything. With this fifth visit, I know enough people and places in the city to keep busy every single night of a four week trip. The trip has been exhausting, as always. First a week of Computex, then a whole slew of meetings and working with my company's customers. We even opened a new corporate office downtown Taipei, at an excellent location right next to the Zhong Shan subway station. Four hotels throughout the stay kept it fresh. Perhaps this is to be expected, but I'm starting to understand significant amounts of Mandarin, and starting to recognize more and more characters. Just for fun, I got two-sided business cards, with my Chinese name (史派特) and contact information on the back! The photo is of the one chance I had to get away from the city. 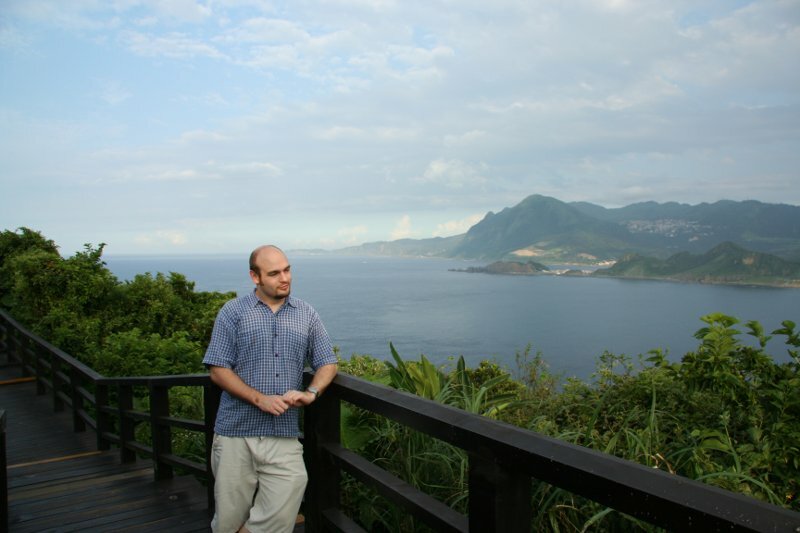 I was fortunate to get brought along on a trip to the Eastern coastal town of Keelung. Nothing reminds you that you're on a tropical island like a lush green coastal line falling into the ocean. One last note: don't drink the Guinness in Taiwan. It has a funny yellow label, is brewed in Malaysia, and tastes nothing like Guinness. Try one for fun, it's an alright stout, but it's definitely not Guinness. I can't wait to sleep in my own bed again. First, I have to spend the night in Vancouver. Maybe I'll spend the night walking along the coast rather than sleeping in yet another hotel. That last entry was written in a hurry at the Toronto Airport. It didn't convey very well what was on my mind (or at least the relevant things on my mind). So, I'll try again in the last few hours before May is over. In fact, May is already over where I am right now. May was a very busy month. It held the significance of being the one-year anniversary of moving into my own place, but it was also extremely busy because I took on a philosophy similar to that of Jim Carey's character in Yes Man, to fill every free time slot with something. For example, after getting off the plane back from Boulder on a late Friday evening, I hopped into my car at the airport and drove straight out to Markus' bachelor party not far from Algonquin Park. No time wasted. That's how the month went, every moment occupied by new experiences. The TV got very little attention the whole time. Speaking of Boulder, the trip was also very busy. I had hoped for a bit of time for some photography or a short hike, but it didn't happen. Still, the evenings were enjoyable, with Boulder's good patio weather and many microbrews. Markus' wedding was a blast. I bought some new clothes for the event, and felt like a million bucks being dressed respectably for once in my life. And what a once-in-a-life event: certainly, the reception afterwards brought out the best qualities of all of the people I've known for years. As vague as it sounds, all of the right elements just came together. So, here I am now, back in Taipei, my fifth time here. The setup for Computex starts in a couple of hours. It's great that the month of May also brought about a revival of one of my favourite activities, namely travel. 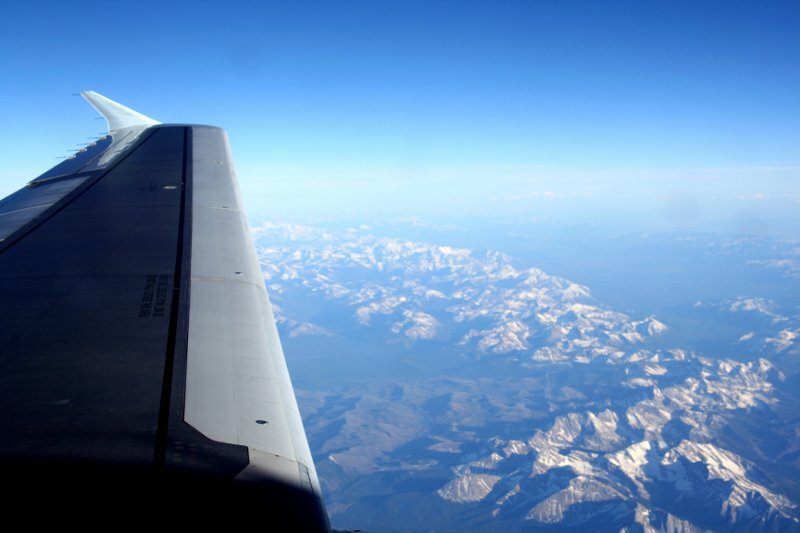 The attached photo is of late afternoon while flying over the Rockies. 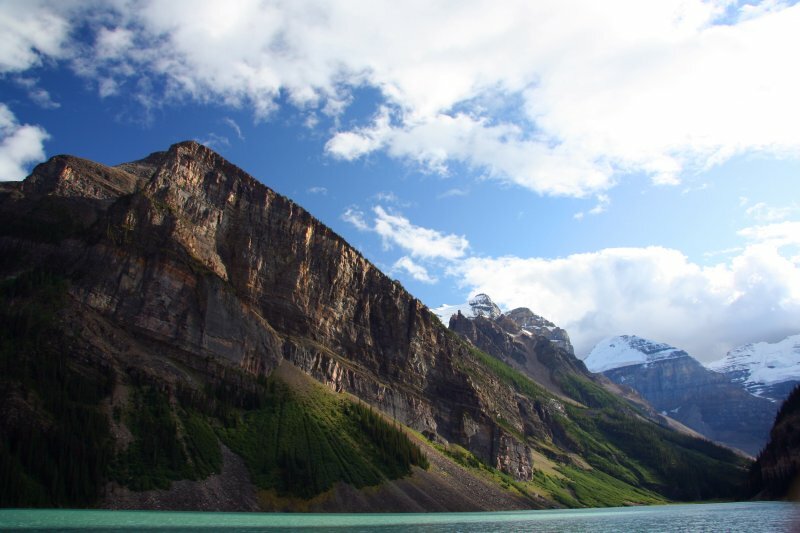 We have a family trip planned for a drive through these fantastic mountains later this summer. For now, I'll enjoy the hospitality of the locals. I am here for four weeks, so hopefully there will be time to write about some of the more interesting endeavours around here. And before I forget, I'll recommend one of the in-flight movies I saw, Gran Torino. An unusual movie, but a very good one. Clint Eastwood nailed that one. Travelling to Boulder, Colorado. Ah, The Lounge. I miss this place and all of the free alcohol. As an aside, this past weekend marked a year since I moved into my apartment. On the Friday leading up to my birthday weekend, I decided to take the day off and catch up on hobbies. I got loads done on my 1:12 scale Trojan cruiser, to the point that the end is in sight. After twelve hours at the shop, cutting and epoxying the individual teak planks, then sanding old paint off the superstructure, I came home, only to put myself through another arduous task: creating railing joints. After a fair bit of work, I got one of them done. Not to be outdone by the urge to sleep, I decided to do the other thirteen as well. 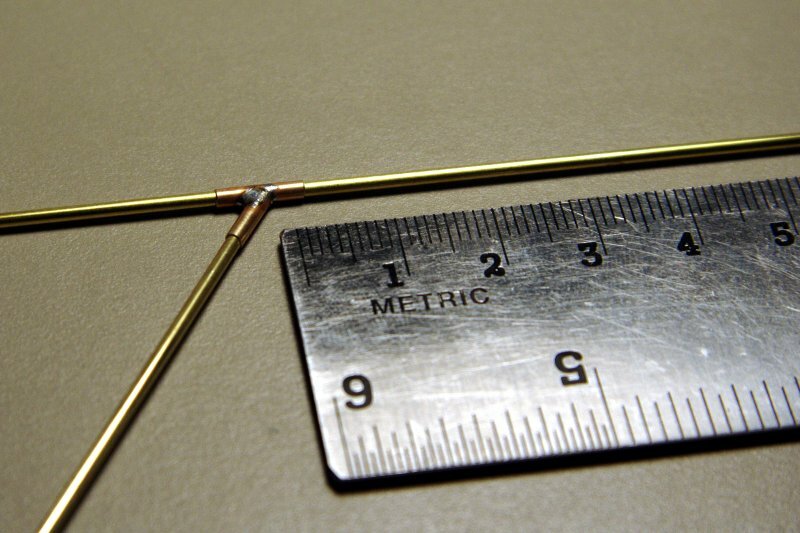 The railing is 1/16" rod, so the joints are really quite small. And that's how the eve of my birthday went. A bittersweet ending to the best TV series ever created. This past weekend marked the series finale of Battlestar Galactica. 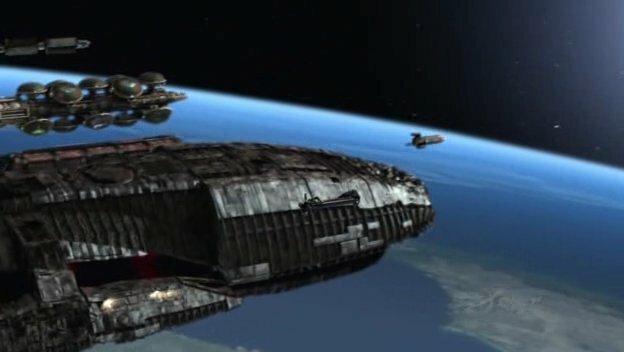 BSG is known for taking a TV series to new limits; to push the threshold beyond what the audience has come to expect from episodic storytelling. It's the kind of writing Ron Moore was great at on Deep Space Nine, and it was expected of him and shared by a broader audience on this show. The finale was not what I anticipated. It was probably not what anyone expected. But it did tie most of the loose ends. I don't think it could have been done better, as a matter of fact. Nonetheless, I would have liked to have seen Apollo back in a Viper cockpit. I would like to know just what happened to Starbuck at the end, who she actually was. I was surprised that they decided to destroy the fleet rather than use it to build new homes on Earth. The effect of the Galactica's last jump was very nice. The tie-in with modern-day New York was clever, but the ending for our favourite characters felt a little out of place. Maybe this is, again, because the show works differently than others; the finale certainly felt more final than on any other series. All in all, the show had a great run. It took guts to end it sooner rather than later. I'm saddened to have the show done, to know that the sets have been destroyed, all of the props auctioned off, etcetera. This is another end of a little era for me. Hats off to all of the people who made it possible. The search is over! I finally found a Roland MT-32 in decent condition for a decent price. The MT-32 is a MIDI module from the late eighties, predating General MIDI. 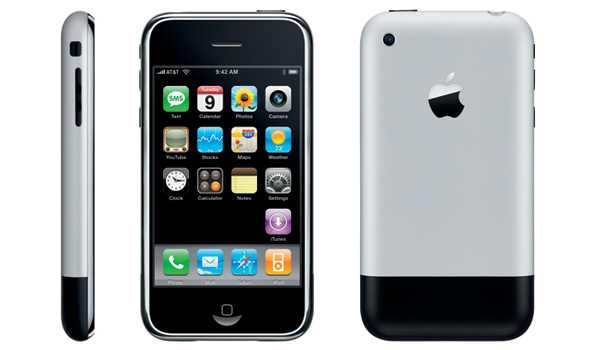 Why would anyone want one? That's a good question. In basically every way, modern General MIDI is superior. My new Roland piano plays MIDI with almost surreal realism. However, being a nostalgic guy, I play a lot of old games I grew up with, like the Sierra and Lucasarts classics. They predate GM. They also use a feature of MIDI calles SysEx, with MT-32-specific commands to program instrument information. In other words, those games only sound right on an MT-32. By "sound right" I mean that they sound fantastic. I hooked up the MT-32 to my laptop via a Midisport USB MIDI dongle and pointed DosBox at MIDI port 20:0. Just like that Space Quest III came to life. It never sounded at all decent on a GM card, so it was fantastic to hear. Next, after fooling around with more of the Space Quest series, I tried a couple of titles from the Kings Quest series, and they sounded fantastic as well. From the Lucasarts side, the Monkey Island games sounded better than ever. I will try some of the Indiana Jones titles later. Of course, games such as Tyrian which are designed for General MIDI sound much better through the piano. It's also really cool to be exposed to classic Sierra shenanigans I've never seen before. The attached photo shows the MT-32 while Space Quest III is starting. 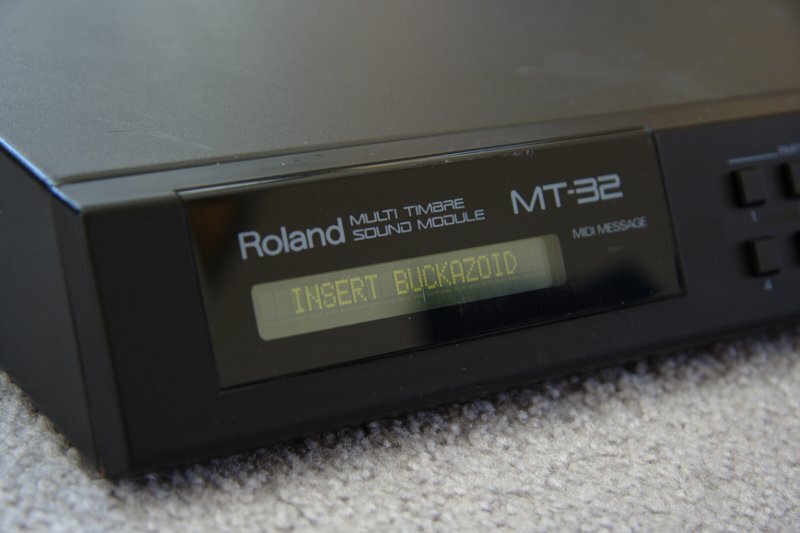 Someone at Sierra decided that the MT-32 display should read "INSERT BUCKAZOID" while the game is starting. Cute. The closest I've ever heard to these old games sounding right is on my trusty old AudioTrix Pro card. It has a Yamaha chip that fits in quite well with the older Roland sound. However, it's locked into an ancient ISA bus (in my 486), and is therefore not quite "future-proof". I think it's great that I can painlessly use this MT-32 from twenty years ago with modern hardware. This one's a keeper. Yesterday was a perfect day of outside activity. It was spent at Mont Tremblant. I couldn't have asked for a nicer day for my one and only ski outing of the season. The result was pain today. As such, I opted to avoid going to the gym and set about bottling my first batch of beer ever. It took a good long time, and involved about the same effort as my normal workout with entail. 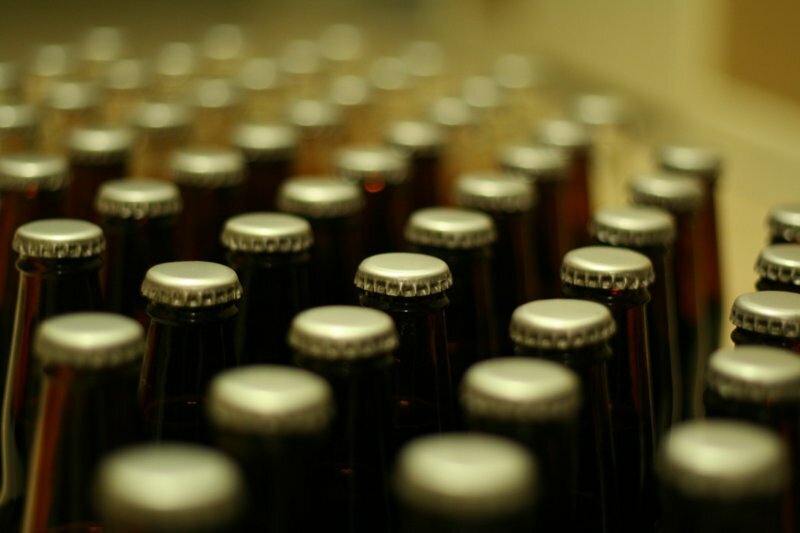 The results are good: 61 bottles of a tasty-looking red ale. At the moment it doesn't actually taste great. The beer is very flat. Having added the dextrose tonight, it will be some time before the yeast does its magic and turns it into carbon dioxide. It will not be long. For such a slow process, this really is quite exciting. 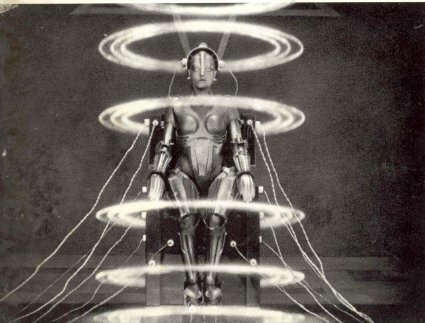 Last night a group of us from work went to see an encore presentation of the 1927 silent movie Metropolis. I had heard it was good, but my expectations regarding an 80-year-old science fiction movie were quite low. I based this on what I knew of fifties an sixties sci-fi. Was I ever in for a surprise. The film was brilliant. There was a bit of comic overacting that is typical to the times, but the scenery, visual and special effects, and overall design were staggering. In many cases, as good as or better than what would be in movies from the sixties. The format is 4-to-3; it actually predates widescreen. The story was also significantly ahead of its time, I thought. Then there was the live band. Hats off to these guys, who played for over two hours straight. It wasn't the original score, but it was very appropriate. The music was a much more modern than the movie, but it definitely brought the "sci-fi" feel to it. It was perfectly coordinated with the picture. The band consisted of keyboards (one was a "bass" keyboard), electric guitar, bass clarinet and flute, and percussion. The sound was jazzy-industrial, a great fit. The theatre was packed. Quite literally every seat was taken. The presenter of the movie noted this, pointing out that there is never that kind of attendance or enthusiasm for a modern film. So, they will be doing this kind of thing more often. The next silent film is supposed to be in April. Later in the evening they showed Re-animator. It was well made, but not my thing. After literally months of procrastination and more visits to the store than even the most difficult customers, I finally bought the last thing I'm really missing from my apartment: a piano. 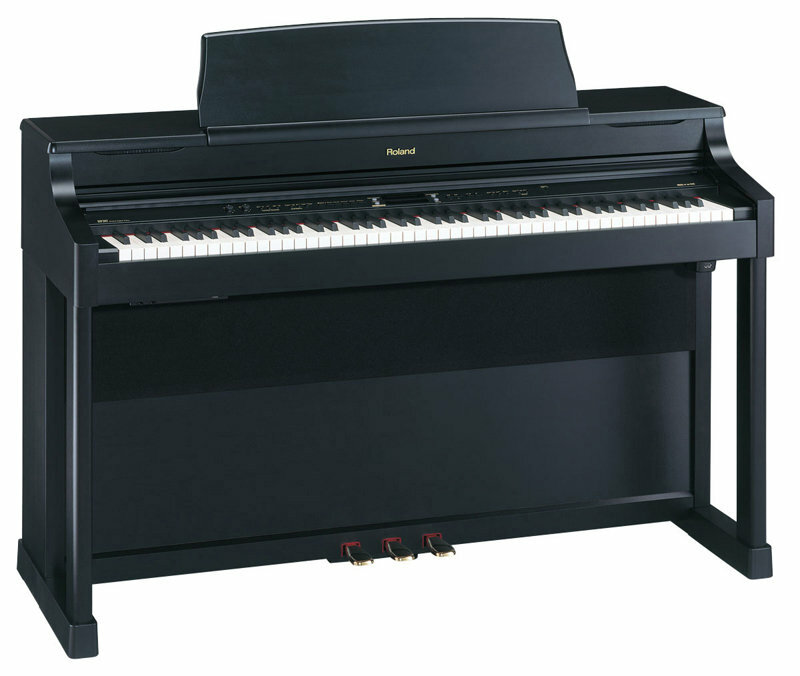 The unit I purchased is what I feel is the best electric piano Roland produces, the HP207. It has their best technology. The sound is, frankly, astonishing. For the longest time, I really wanted a real acoustic piano. My thinking changed after the fourth-or-so visit to the shop, when I seriously started considering the higher end Rolands. The key is that this simulates not an upright piano, but a grand. And it really does. It even lets you tune settings like the angle of the lid and the length of the piano's body. The advantage of this unit over the ones that cost less is the excellent additional sound system right below the keyboard (near the player's knees), as well as a simulated ivory/wood finish to the keys. The advantage over the more expensive units, besides the price, is that the control panel actually makes sense and is a lot more friendly. Roland samples their sounds from a real Steinway & Sons grand piano. Apparently, they don't interpolate, everything is sampled individually, and all harmonics, string, and damper side-effects are accounted for and adjustable! The key action simulates the weight and behaviour of a grand piano very convincingly, even the feel of the escapement as the key reaches the end of its run. I spent an hour this evening playing on this instrument. Having grown up on mostly electric pianos, it revealed all of the same shortcomings I have when I play acoustic; too much pedaling, improper balance between the two hands, that sort of thing. The only thing missing on this unit compared to a real grand piano is the feel of the vibration of the key when you a deep note; it's there, but not as pronounced. All in all, having tried twenty-or-so different pianos, this is the only one that fits just right. 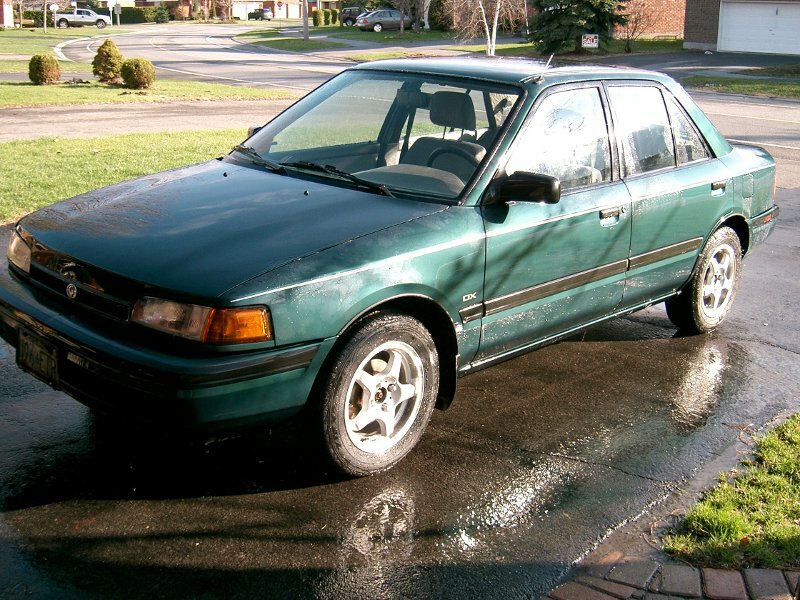 It's the balance of practicality and playability. Wow, I can't believe I've gone so long without writing anything here! I guess it's been a busy year, and Facebook covers the need to express myself from time to time. But for more important things I want to keep track of, this is still the place. Today's news is that I finally went ahead and bought the necessary equipment to make my own beer at home. I also got a kit of The Brew House's Red Ale. Last time I tried the finished product I was quite impressed with it. Hopefully, my batch will turn into something passable as well. In the meantime, the wine from last September is just starting to mellow out to perfection. Fun stuff, this brewing. It was a good year. Definitely the most expensive year of my life to date. Also, it was the most traveled, probably the most successful overall. I bid thee farewell. Welcome, two thousand and nine.